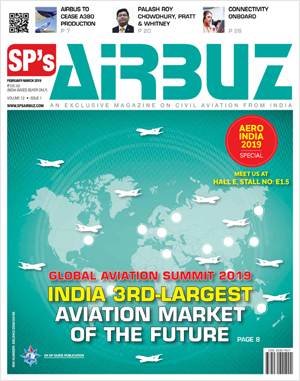 “Civil Aviation Policy gives an impetus to affordability, regional connectivity, safety, infrastructure—all vital for transforming India”. First and foremost, no Prime Minister of India has taken as many development initiatives in just two years into one’s term like the way Prime Minister Narendra Modi has. Coming to power on the plank of development, Prime Minister Modi, along with his team, has been assiduously working hard to transform India into a major economic power. And that cannot happen without civil aviation which has the capability of providing a multiplier effect to development. 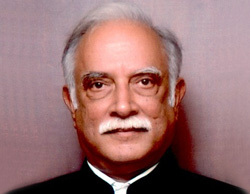 In the history of independent India, this is the first time an integrated civil aviation policy has been put in place to provide an ecosystem for the harmonised growth of the different aviation subsectors – airlines, airports, cargo, maintenance, repair and overhaul (MRO) services, general aviation, aerospace manufacturing and skill development. The policy has a road map to support 300 million air travellers in five years and steps to make air travel affordable and convenient. The premise is that if every middle class Indian takes just one flight in a year, it would result in a sale of 350 million tickets, a big jump from 70 million tickets sold in 2014-15 in the domestic sector. This would fructify only if flying was made affordable and accessible. Take flying to the masses by making it affordable and convenient. Establish an integrated ecosystem which will lead to significant growth of civil aviation sector to promote tourism, employment and balanced regional growth. Enhance regional connectivity through fiscal support and infrastructure development. One of the high points of the policy is the emphasis on regional connectivity. No other government has spelt out such elaborate plans of networking India. The Regional Connectivity Scheme (RCS) is to come into effect in the second quarter of 2016-17 and the key feature is cap on airfare – Rs. 2,500 for a one-hour flight. Revival of airstrips/airports as no-frills airports at an indicative cost of Rs. 50 crore to Rs. 100 crore. Demand-driven selection of airports/airstrips for revival in consultation with state governments and airlines. Viability Gap Funding (VGF) for airline operators. RCS only in those states which reduce VAT on ATF to one per cent or less, provide other support services and 20 per cent of VGF. There will be no airport charges. Reduced service tax on tickets on 10 per cent of the taxable value for one year initially. Reduced excise duty at two per cent on ATF picked at RCS airports. State government will provide police and fire services without charge and power, water and other utilities at concessional rates. Creation of Regional Connectivity Fund for VGF through a levy of Rs. 8,000 per departure on all domestic flights other than Cat II/Cat IIA routes, RCS routes and small aircraft below 80 seats. VGF to be shared between the Ministry of Civil Aviation (MoCA) and state governments in the ratio of 80:20 and in the case of North-eastern states, the ratio is 90:10. While the Union Government has spelt out the policy in clear terms, it is now up to the state governments to transform the policy into action. Currently, around 75 out of 450 airstrips/airports have scheduled operations and revival of the remaining airstrips and airports will be ‘demand-driven’. The policy has categorised commercial operations into three main categories – Scheduled Air Transport Operator (domestic and international); Scheduled Commuter Operator and Non-Scheduled Operator. With regard to the first and the third categories there are no changes in the existing provisions. With focus on enhancing regional connectivity, the policy has introduced the category of Scheduled Commuter Operator that will operate aircraft having a maximum All Up Weight (AUW) not exceeding 40 tonnes. The minimum equity capital requirements would be on the basis of number and size of aircraft in the fleet. Commuter operators will predominantly provide connectivity on regular basis on domestic routes. There would be a prescribed minimum number of aircraft with such operators to maintain the regularity of operations. Operators whose principal business is to carry out commuter operations, may additionally carry out domestic charter operations provided the schedule of operations of principal business is not affected. They would be permitted to have codeshare with other airlines, both domestic and international. The route dispersal guidelines (RDG) which was introduced in 1994 to provide air connectivity to Jammu and Kashmir, North East region, Andaman & Nicobar Islands, Lakshadweep, Tier-II and Tier-III cities, by way of internal cross-subsidy by airlines using their revenues on the trunk routes (12 in number) has been rationalised. Category I routes will be rationalised once in five years, by addingmore routes based on transparent criteria. The criteria proposed for a Cat I route are it should have flying distance of more than 700 km, average seat factor of more than 70 per cent and annual traffic of five lakh passengers over two full schedules (i.e. summer and winter).The traffic to be deployed on Cat II and IIA routes expressed in terms of a percentage of Cat I traffic will remain the same. However, routes to Uttarakhand and Himachal Pradesh will be included in Category II. For Cat III routes, it is 35 per cent of Cat I traffic in view of the fact that RCS is being implemented for a similar purpose. For the purpose of meeting the RDG requirements, the Scheduled Airlines will be permitted to trade available seat kilometres (ASKM) of helicopters and other small aircraft (maximum AUW not exceeding 40 tonnes) operating under RCS to extend the last-mile connectivity seamlessly to underserved or unserved areas. The much talked about 5/20 rule has been modified and now airlines can commence international operations provided that they deploy 20 aircraft or 20 per cent of total capacity (in term of average number of seats on all departures put together), whichever is higher for domestic operations. The 5/20 rule was approved by the government in December 2004 to protect national carrier Air India. IndiGo, launched in 2006, had to wait till 2011 to commence operations on international routes and SpiceJet had to wait till 2010 to do so. Having gone through the wait period, these airlines were opposing the government’s move to scrap the 5/20 rule. With the amendment, new airlines can venture into international skies. Vistara, set up in January 2015, has 11 planes presently and plans to expand its fleet to 20 by June 2018. AirAsia India which began operations in June 2014, operates eight aircraft and is keen to grow. India has Air Service Agreements (ASA) with 109 countries covering aspects relating to the number of flights, seats, landing points and code-share. The government plans to liberalise the regime of bilateral rights leading to greater ease of doing business and wider choice to passengers. The government will enter into an ‘Open Sky’ ASA on a reciprocal basis with SAARC countries and countries with territory located entirely beyond a 5,000-km radius from New Delhi. Unlimited flights above the existing bilateral rights will be allowed directly to and from major international airports within the country as notified by the Ministry from time to time. 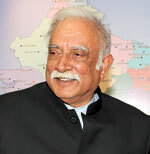 For countries partly or fully within 5,000-km radius, where the designated carriers of India have not fully utilised 80 per cent of their capacity entitlements, but foreign carriers/countries have utilised their bilateral rights and are pressing for increase in capacity, a method will be recommended by a committee headed by the Cabinet Secretary for the allotment of the additional capacity entitlements. Indian carriers will be free to enter into domestic code-share agreements with foreign carriers to any point in India available under the respective ASA. For the designated Indian carriers international code-share arrangements with foreign carriers will be liberalised and no prior approval from MoCA will be required. To provide fiscal support to MRO facilities, ground handling, cargo and ATF infrastructure collocated at an airport, (including heliport) are covered under the ‘Harmonised List of Infrastructure, and will get the benefit of ‘infrastructure’ sector. The Ministry will continue to encourage development of airports by the state governments or the private sector or in public-private partnership (PPP) mode. To ensure uniformity and level playing field across various operators, future tariffs at all airports will be calculated on a ‘hybrid till’ basis unless otherwise specified for any project being bid out in future. 30 per cent of non-aeronautical revenue will be used to cross-subsidise aeronautical charges. In future, concessions/ development of airports, it will be necessary to ensure a minimum level and standard of cargo facility at the airport. Project should be financially viable with non-zero IRR, except for no-frills airports developed under RCS. State/Central Government will provide VGF to AAI if the project is strategically important but financially unviable. Land will be provided free of cost and free from all encumbrances by state government without treating it as equity. Land will include sufficient space on city side for commercial use as per applicable law. India currently has less than 300 civilian helicopters which is very low as compared to other developing nations. In order to boost helicopter deployment, the DGCA will be formulating separate regulations for helicopters. The government will facilitate the development of at least four heli hubs initially. The DGCA will bring out regulations exclusively for hospital emergency medical services (HEMS) wherein these helicopters will not require any operational clearance, including landing at accident and emergency sites from any agency except Air Defence clearance. There will be no landing charges and RNFC for HEMS operations. Importantly, helicopters will be free to fly from point-to-point without prior ATC clearance in airspace below 5,000 feet and outside controlled airspace, prohibited and restricted ones, Temporary Segregated Areas (TSAs) and Temporary Restricted Areas (TRAs) after obtaining the Air Defence clearance. The tools and toolkits used by the MRO have been exempted from customs duty. MROs were required to provide proof of their requirements of parts or orders from their client airlines. The process for the clearance of the parts has been brought in line with that of the toolkits for a one-time certification by DGCA approved Quality Managers in MROs. To enable economies of scale, the restriction of one year for utilisation of duty free parts has been extended to three years. To allow import of unserviceable parts including aircraft components like engines and landing gears by MROs for providing exchange/advance exchange, the notification has been revised to enable advance export of serviceable parts. Foreign aircraft brought to India for MRO work will be allowed to stay for the entire period of maintenance or up to six months, whichever is lesser, provided it undertakes no commercial flights during the stay period. The aircraft may, however, carry passengers in the flights at the beginning and end of the stay period in India. To give fillip to MRO sector, the Ministry said it would persuade state governments to make VAT zero-rated on MRO activities. In future airport/heliport projects, provision would be made for adequate land for MRO service providers and also for air cargo operations. Airport royalty and additional charges will not be levied on MRO service providers for a period of five years from the date of approval of the policy. The airport operator will ensure that there will be three Ground Handling Agencies (GHA) including Air India’s subsidiary/JV at all major airports as defined in AERA Act of 2008 to ensure fair competition. Non-major airports are exempted from minimum number of ground handlers. All domestic scheduled airline operators including helicopter operators will be free to carry out self-handling at all airports. Currently, air cargo volumes in India are very low as compared to other leading countries due to high charges and high turnaround time. Within the air cargo ecosystem, Express Delivery Services (EDS) has a distinct operational nature and is becoming pivotal especially in the light of double-digit growth in e-commerce. An Air Cargo Logistics Promotion Board (ACLPB) has been constituted to promote growth in air cargo by way of cost reduction, efficiency improvement and better inter-ministerial coordination. The Board and the industry will submit a detailed action plan, with the objective of reducing dwell time of air cargo from ‘aircraft to truck’ to below 48 hours by December 31, 2016, and to 24 hours by December 31, 2017, by reduction in free time and other measures. For exports, dwell time will be reduced to 12 hours by December 31, 2016, and eight hours by December 31, 2017. The growth of civil aviation in the country has been hamstrung by the shortage of appropriate skills required in different sectors of civil aviation. According to certain estimates, the incremental human resource requirement of the civil aviation sector by 2025 would be in the region of 3.3 lakh. The government will create the necessary ecosystem and architecture for ensuring full utilisation of the skill development capacities. After obtaining a commercial pilot licence (CPL), it is necessary to get type-rated to get employment in an airline. This puts an enormous financial burden on the pilot having CPL as typerating costs can be of the order of Rs. 25-30 lakh. There are nearly 8,000 pilots holding CPL but are unemployed. There are plans to develop a scheme for providing financial support for type-rating of pilots. The detailed scheme will be worked out separately either by setting up the facility at the Indira Gandhi Rashtriya Udaan Academy or Air India or in PPP mode.? It is truly a comprehensive policy which the government has assiduously formulated and it is now for the industry and the sate governments to get their act together. Not to mention the bureaucracy which has to get out of its inertia and help accelerate development. 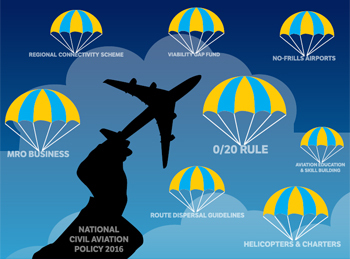 Kudos to the government for an exhaustive National Civil Aviation Policy 2016. It covers the entire gamut of civil aviation and is expected to catapult the sector to astounding heights, provided the stakeholders realise the intent of the government – to give wings to aviation dreams. It goes to the credit of the Narendra Modi Government to give definite direction to networking India. One of the pointers of the government’s intent ‘Sabka Saath, Sabka Vikas’ (Together with all, Development for all) can be seen in the NCAP which lays emphasis on regional and remote area connectivity. Announcing a slew of incentives for operators flying into unserved and underserved destinations, the government is playing a catalytic role. The introduction of the Scheduled Commuter Airline category has to be seen in this perspective and it is now for the industry to take the bite. The cap on air fares, along with enhanced regional connectivity, will bring in new passengers to the airline industry, which is expected to give substantial traction to economic growth. Recently, the Ministry also announced a slew of measures to protect the travelling public and it is hoped that the airline industry acknowledges that a ‘happy customer’ translates into a ‘healthy airline’. Indian aviation is gaining altitude and speed to become one of the top three aviation markets in the world soon!